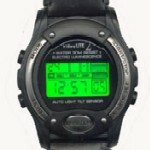 This unique, vibrating watch is very different from ordinary watches! The VibraLite2 Vibration Watch offers multiple vibrating alarm settings that quietly remind you when it’s time to do any time sensitive task. This makes it an essential tool for almost anyone who takes daily medications; cares for someone who needs daily or hourly regulated medications; and, for someone who needs an alarm to wake-up without disturbing others. It offers three reliable alarm styles: vibration, chime, and countdown timer options. One of the best features of this watch is that these alarm style can be set to go off daily! No need resetting the watch each time! use this setting for timing presentations, parking, cooking, etc. The VibraLite2 Vibration Alarm Watch is perfect for both adults and children.